In October of 1977, the people of Lomé, Togo began to grow suspicious as security precautions meant that every white person was being stopped at multiple checkpoints, and those who could not prove their identity were detained overnight. Increased military and police protection was being placed around the US and French embassies, and Togo's president, Étienne Eyadéma, had canceled a scheduled trip to his hometown of Pya. 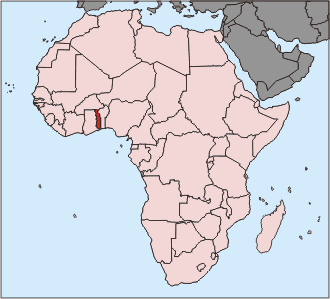 Hartley further reported that a "second wave" of mercenary forces composed of Togolese exiles was waiting in France, ready to return to the country after the assassination of President Eyadéma. It seems that in response to the actions of Mr. Bleming and Mr. Clenedennen, the US Senate decided to add a provision to the Criminal Code Reform Act of 1978 -- Conspiracy Against a Foreign Power -- making it a criminal offense for US citizens to take part in a conspiracy to kill a foreign head of state. The bill passed the Senate, but died in the House of Representatives, indicating that someone in the House wanted to protect Mr. Bleming and Mr. Clenedennen. John Banks and David Tomkins, two British nationals, reported that the conspiracy started when former Canadian Army officer, Colonel Tom Finan, was contacted by members of the Olympio family (former President of Togo assassinated in 1963.) Colonel Tom Finan then traveled to the UK and began hiring former Special Forces soldiers to help him organize a coup d'etat against Togo. According to Banks and Tomkins, the Olympios provided the weapons, which first landed in Togo on a US-registered Constellation N-273-R, again hinting at why the House did not pass the 1978 assassination conspiracy law. Even after the failed October, 1977 plot, Tomkins confirmed that he was still trying to assassinate the President of Togo with an Improvised Explosive Device in the middle of the road to the Presidential Palace. Tomkins said that he changed his mind about overthrowing the government because he felt he had been misled by Colonel Finan, who told him that President Eyadéma was as bad as Idi Amin. 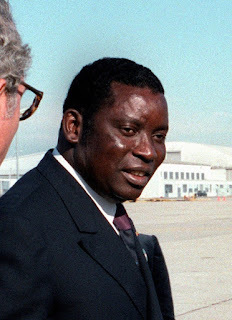 With Tomkins' confession, the case was closed, the financing of the whole operation was attributed to the Olympios, the American plane carrying arms was lost to history, and President Eyadéma asked Tomkins for advice on improving his security, which no doubt led to him dying in 2005 as Africa's then-longest serving head of state. 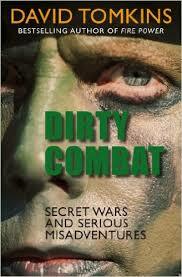 Tomkins would later go on to write a book -- Dirty Combat: Secret Wars and Misadventures -- revealing that the whole plot came undone because two of the Special Forces conspirators got into a fight on the plane to Africa. Tomkins detailed in his book that the airplane used to carry the weapons were purchased by Florida-registered Teshi Team International -- Colonel Finan's company -- and that the flight crew was American. The strongest indication of involvement by someone in the House of Representatives, however, comes from Jimmy Carter's signing of Executive Order 12036. Signed a few months after the Togo misadventure, it reads: "No person employed by or acting on behalf of the United States Government shall engage in, or conspire to engage in, assassination." Togo only had 800 soldiers when Colonel Finan's men landed, and his failure was largely fortuitous. The Colonel's company, Teshi Team International, has since relocated to the Bahamas.